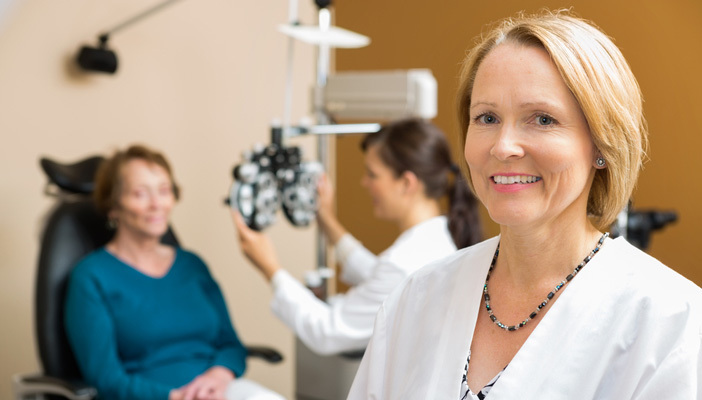 What should the key priorities be for eye health and sight loss professionals in 2016? We asked some of the key figures in your sector for their views. “We need to be pressing on a public level. First of all, we need to try to improve the uptake of sight tests. We need to educate the general public that they should be going for regular eye tests in the same way that they go for dental tests. The International Glaucoma Association, for which I’m a trustee, has been working with the DVLA, and looking to see if we can’t make a sight test compulsory as part of renewing a driving licence. “Eye health issues account for 4.5m GP appointments across the UK each year and hospital services are struggling to keep pace with referrals. As such, there is a space in which optometrists can work with other health professionals in new models of care to maximise the use of resources and skills. “For me, the priority is getting rehabilitation services more widely recognised – and recognised in a concrete manner, not just with lip service. When the VISION 2020 Rehabilitation" Group was set up, rehabilitation felt like a discredited area and we were discussing its whole role – even its right to exist. Today, the profession has now got some of its credibility back – but as far as the sector overall is concerned, I'm not so sure; the ‘Seeing it my way’ VISION 2020 outcomes that everyone signed up to can only realistically be achieved if people have access to the services that can deliver them, and that’s usually the rehabilitation and other workers out in the field. If you don’t have a workforce to deliver it, you won’t do it and we’re now reaching a crucial point where more people are leaving than joining. “My first priority is ensuring that patients are seen and reviewed in a clinically safe time. The demand on ophthalmology departments has increased hugely over the past decade – and it’s due to increase, with the ageing population and the increase in chronic diseases that affect the vision; but this hasn’t been met with increased space or personnel. Patients should be able to request appointments based on the time their ophthalmologist recommends. "Second, we need to promote research into ophthalmic conditions. It’s a fundamental requirement for patient care: clinical care, drug treatments, surgical interventions and preventative and rehabilitative strategies are constantly changing. This means creating opportunities for new researchers; drive and support from existing clinicians and researchers, funding from government and charitable sources and collaboration from academia, industry and medicine. “First, everyone who is told that they are losing their sight should have access to the emotional and practical support that they need. In an eye department this is often provided by an ECLO or a Sight Loss Adviser, and RNIB is campaigning for this service to be available to everyone who is losing their sight. "Second, everyone is eligible for certification and registration as either sight impaired or seriously sight impaired should be offered this, with an explanation of what this means and what benefits it may bring. This doesn’t just apply to ophthalmologists! All sight loss professionals have a role to play in the process, and it’s vital that patients have all the information they need when certification is an option. "I also really want people to understand that certification isn’t the ‘end of the process’, something that is offered when nothing more can be done. It’s the beginning of the next part of people’s eye care journey, an important part of early intervention, opening avenues of support and improving people’s quality of life. “Our focus is heavily weighted toward the voluntary end of the spectrum, so my priorities are more focused on service delivery for people who are already living with sight loss. For me, it’s very important to make collaboration a priority. We’re all – in the public and the voluntary sector – faced with the challenge of the funding squeeze, and therefore we have to work effectively together to make the most of the resources we have available. There is duplication of effort within the sector and there’s a huge amount of work to be done but I’m seeing some really positive signs that people are positioning themselves to work more closely together. "Identifying and addressing the gaps in service provision is also key. Gaps exist both geographically – it’s very much a postcode lottery in terms of what services are available, both statutory and voluntary - and in terms of quality, because in some areas there is a service, but it’s not good enough. That links back into the point about working together. Plugging the gaps is a huge issue, but we have to identify them first.